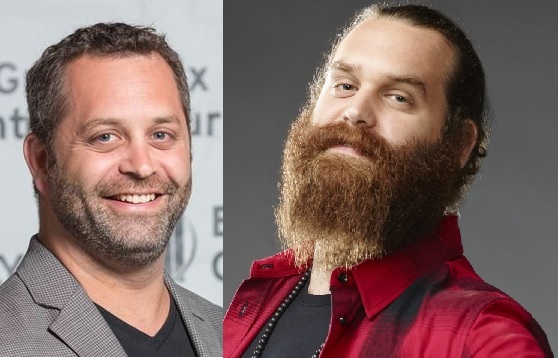 Darren and Harley Morenstein know a little something about overnight success, and the parties, pressures and pitfalls that can come with it. 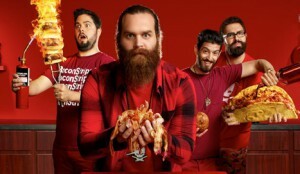 The bearded brothers from Montreal (Darren pictured left, Harley right) are the creators behind the hit YouTube series Epic Meal Time. 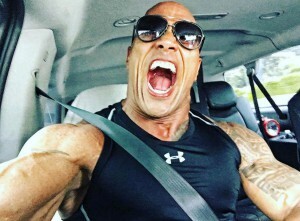 The digital show took off in 2011, finding a loyal audience of more than seven million subscribers on YouTube with its over-the-top, meat-and-cheese filled creations (with names such as “Bacon Cheeseburger Inception”), and taking the brothers along for the ride. It’s that wild journey that forms the plot of the duo’s new scripted linear series, Elebrity. “It’s loosely based on the creation of Epic Meal Time and Harley himself,” Darren Morenstein, 39, told StreamDaily. Produced by NextTime Productions, the Morenstein’s own prodco, the series was recently picked for development by the Canadian Broadcasting Corporation (CBC) as part of the Canadian Film Centre’s Jumping Screens comedy workshop. The Morensteins were among a small group of Canadian YouTubers chosen to participate in the 2015 workshop, which saw the film centre partner with the pubcaster with a goal of crafting a linear hit. Elebrity was selected for development in March. Morenstein said there are no details yet on the number of episodes that will air, casting or when the show will bow. Both he and his brother will serve as the show’s executive producers. Production is expected to begin before the end of 2016. Producing linear content will mark a big change for the duo, who have also published two cookbooks and produced several other web series — though Epic Meal Time is by far their most recognizable brand. “Part of the fun of digital is you can test things and try them out. You can tweak things,” said Morenstein of the difference between digital and linear platforms. Morenstein said one of the most-obvious benefits of traditional TV is working with a larger production budget compared to the money typically spent in digital. As for Elebrity and whether it has what it takes to lure those “Epic” YouTube fans (and cord-cutting millennials) back to traditional television, Morenstein isn’t worried. 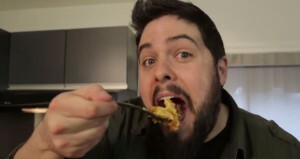 Epic Meal Time has leveraged extensive data knowledge to grow its audience (Vessel’s Ivana Kirkbride calls their method “The Bacon Principle“) — and Morenstein said the company’s core audience skews a little older than the typical YouTubers. 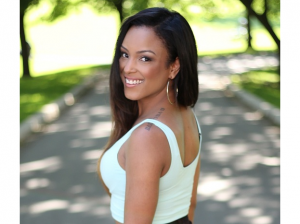 “In the end, yeah, some people are cord cutting, but we approach it as, content is content. If it’s good, people will seek it out and watch it,” he said.